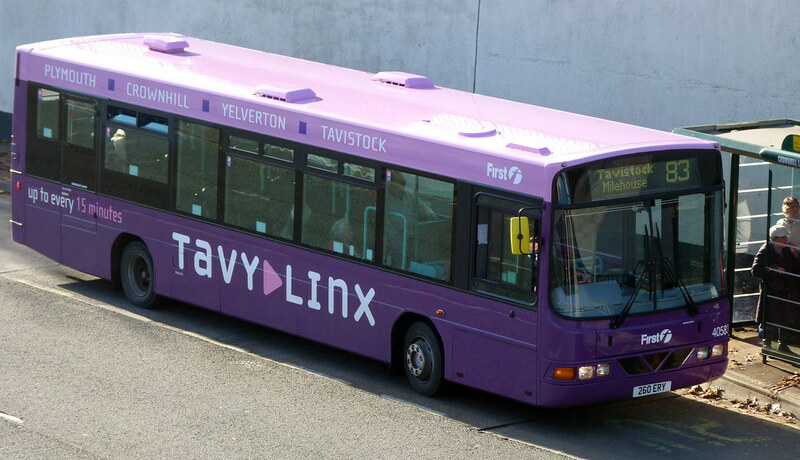 The new livery is certainly an improvement on the old Tavy Linx. The inside however is a disappointment. 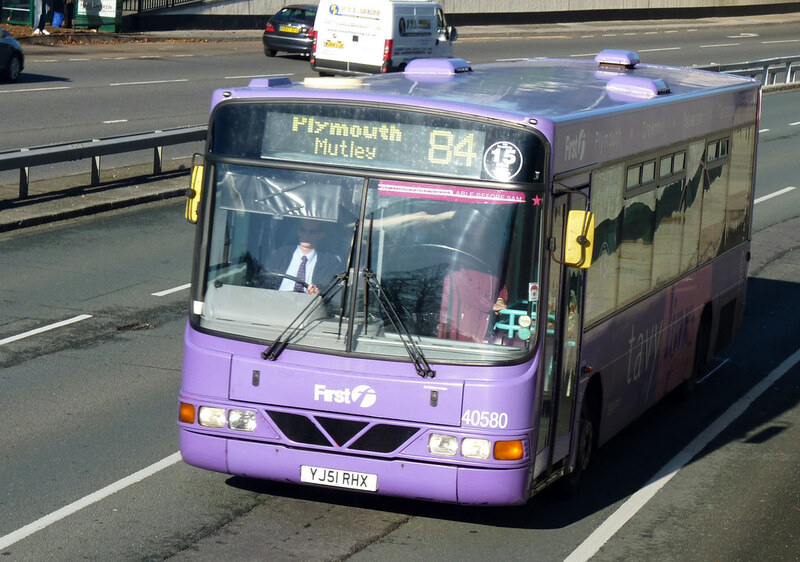 In the recent posting on PTOTPA Lawrence noted that he didn't think the bus (260ERY) had received the leather seating that First had announced these buses were being fitted out with. I guess he like me was assuming we were in for something in line with the Park & Ride Enviro 400's or the Citybus Enviro 200's. The reality is very different. The seats may be leather covered but they are very thin and very uncomfortable on a long journey. There is hardly any padding on the seats at all which is a real shame. I cant help but think that these buses would have been better off with the standard First Group seats, which would have at least looked brighter even if they are no less uncomfortable. The display telling you the next bus stop was excellent though and worked very well indeed. It is certainly one fitting which I hope makes it onto other buses in the First fleet. 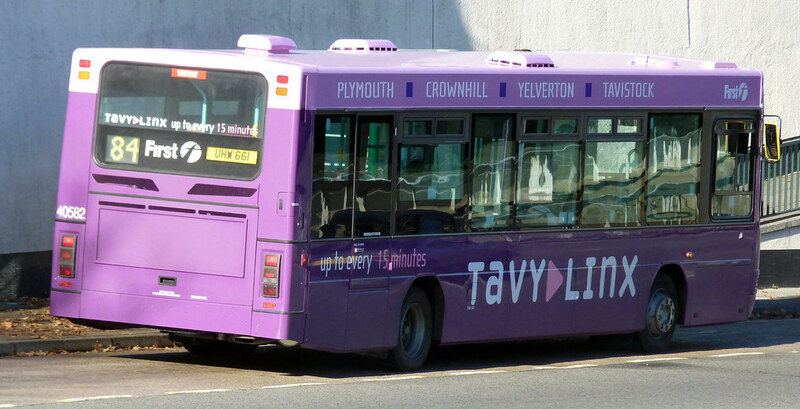 40581 is still trundling around in the old Tavy Linx livery. It seems there will be five buses in the new livery so I guess this one will soon follow the other two above. It would be nice to see a Trident or two in this livery!